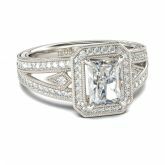 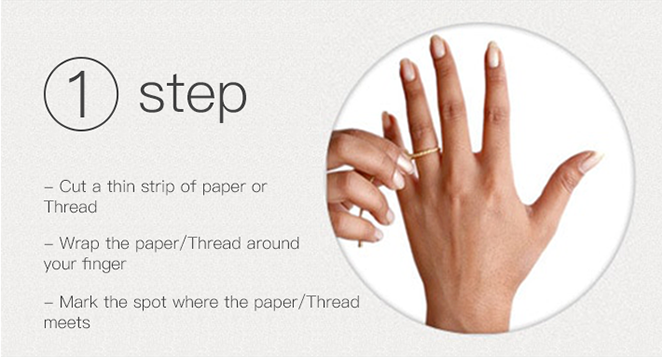 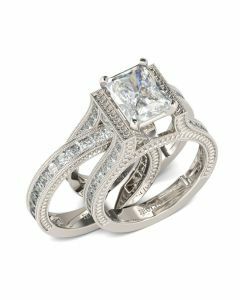 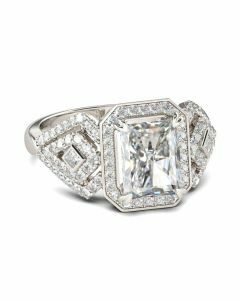 Romance and elegance combine to create this stunning engagement ring. 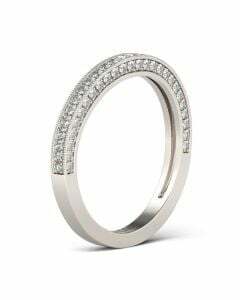 This elegant design showcases a sparkling radiant-cut center stone wrapped in a halo frame of round stones, while additional shimmering stones adorn the ring's split shank, making a dazzling look from any angle. 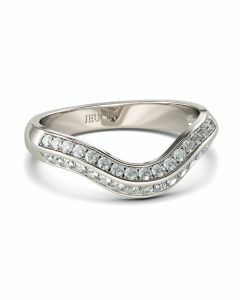 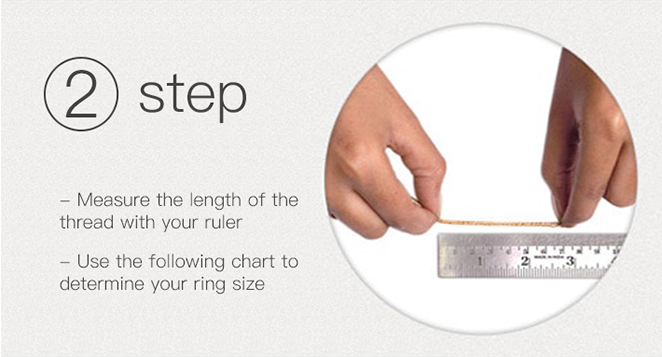 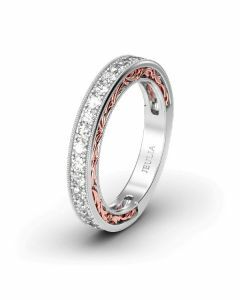 Sculpted detailing and milgrain detailing along the ring's shank add vintage elegance to the design. 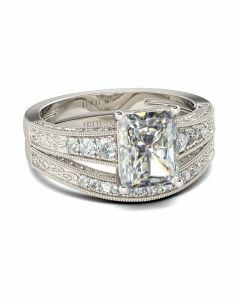 A romantic look of love and commitment, this engagement ring is a beautiful beginning to your lasting love story.